Physicians’ Education Resource®, LLC (PER®) is pleased to present the CME-certified online activity titled, Advancing the Role of the SGLT2 Inhibitors in the T2D Treatment Paradigm. This innovative activity is an archived version of the live-streamed Medical Crossfire® held on June 25, 2018, at the American Diabetes Association’s 78th Scientific Sessions. With new clinical trial data surrounding available and emerging treatments for diabetes continually being published in the literature, studies evaluating these drugs are growing increasingly complex. Thus, there is a need among clinicians who treat patients with type 2 diabetes (T2D) to collaborate with leading experts on the disease to differentiate the various therapies in terms of their mechanisms of action, potential for adverse events, and, perhaps most importantly, to understand how a drug might be synergistically combined to individualize and improve the care and clinical outcomes of patients with T2D. To meet those needs, this symposium assessed the benefits and limitations of currently available antihyperglycemic therapies as well as the most common reasons patients with T2D fail to achieve target glycated hemoglobin (A1C) and cardiometabolic risk factor goals. Our faculty of nationally recognized experts investigated and differentiated the mechanisms of action of various plasma glucose-lowering therapies, including SGLT2 inhibitors; discussed the therapeutic advantages of targeting their novel pathways; and analyzed the clinical trial data surrounding SGLT2 inhibitor therapy in patients with T2D at various stages of the disease. Finally, a panel discussion and audience question-and-answer session helped clinicians understand how to improve outcomes in patients with diabetes by selecting appropriate and effective therapies that tighten glycemic control, reduce overall cardiometabolic risk, and achieve beneficial outcomes in patients with T2D. This educational activity is directed toward physicians. Faculty, Staff, and Reviewer Disclosure Statement: All faculty, staff, and reviewers involved in the planning, review or presentation of continuing education activities provided by Purdue University College of Pharmacy are required to disclose to the audience any relevant commercial financial affiliations related to the content of the presentation or enduring material. Full disclosure of all commercial relationships will be made in writing to the audience prior to the activity. All additional planning committee members, staff and reviewers of Physicians’ Education Resource, LLC, and Purdue University College of Pharmacy have no relationships to disclose. Physician Accreditation Statement – This activity has been planned and implemented in accordance with the accreditation requirements and policies of the Accreditation Council for Continuing Medical Education (ACCME) through the joint providership of Purdue University College of Pharmacy and Physicians’ Education Resource, LLC. Purdue University College of Pharmacy, an equal access/equal opportunity institution, is accredited by the ACCME to provide continuing medical education for physicians. Credit Designation – Purdue University College of Pharmacy designates this enduring activity for a maximum of 2.0 AMA PRA Category 1 CreditsTM. Physicians should claim only the credit commensurate with the extent of their participation in the activity. For information about the accreditation of this program, please contact Dawn Sinclair, sinclaid@purdue.edu, Accreditation Coordinator for Purdue University College of Pharmacy’s Office of CE, regarding accreditation designation or Heather Holley, hholley@purdue.edu, Reconciliation and Outcomes Coordinator for Purdue University College of Pharmacy’s Office of CE, regarding CE credit received and/or certificates. Sodium-glucose cotransporter-2 (SGLT2) inhibitors and glucagon-like peptide-1 receptor agonists (GLP-1 RAs) have been shown to improve cardiovascular (CV) outcomes in CV outcomes trials (CVOTs). As a result, 2018 American Diabetes Association (ADA) guidelines recommend these agents second-line to metformin in any patient with uncontrolled (A1C >7%) type 2 diabetes (T2D) and CV risk factors. In the ground-breaking EMPA-REG OUTCOME trial, 7020 patients were treated with empagliflozin (10 or 25 mg once daily) or placebo, and the primary outcome was a composite of death from CV causes, nonfatal myocardial infarction, or nonfatal stroke (3-point major adverse CV event [3P-MACE]). After a median observation period of 3.1 years, the primary outcome occurred in 10.5% (n = 490/4687) and 12.1% (n = 282/2333) of patients in the empagliflozin and placebo groups, respectively (HR, 0.86; P =.04 for superiority). Patients in the empagliflozin group also showed significantly lower rates of death from CV causes (HR, 0.62; P <.0001) and death from any cause (HR, 0.68; P <.0001). Similar results were achieved with liraglutide in the LEADER trial: superior reductions in 3P-MACE (HR, 0.87; P =.01), CV death (HR, 0.78; P =.007), and death from any cause (HR, 0.85; P =.02). Canagliflozin and semaglutide have also shown significant CV benefits, although not in mortality outcomes. As the T2D treatment paradigm shifts away from a glucose-centric approach to an overall risk reduction focus, providers must weigh the temptation to prescribe SGLT2 inhibitors and GLP-1 RAs for the CV benefit against potential adverse events and costs on an individual basis. Despite the debate and different views expressed in the discussion, all panelists agreed that individualized patient care is essential, and that therapy decisions encompassing T2D and CV risk reduction must be made on a case-by-case basis. American Diabetes Association. 8. Pharmacologic approaches to glycemic treatment: standards of medical care in diabetes—2018. Diabetes Care. 2018;41(suppl 1):S73-S85. doi: 10.2337/dc18-S008. Marso SP, Daniels GH, Brown-Frandsen K, et al; LEADER Trial Investigators. Liraglutide and cardiovascular outcomes in type 2 diabetes. N Engl J Med. 2016;375(4):311-322. doi: 10.1056/NEJMoa1603827. Recent cardiovascular outcomes trials (CVOTs) have shown significant cardiovascular benefits associated with the use of sodium-glucose cotransporter-2 (SGLT2) inhibitors (eg, empagliflozin, canagliflozin) in patients with T2DM; however, severe adverse events (AEs) have been reported with the use of these agents. In 2015, the US Food and Drug Administration (FDA) issued a safety announcement for all SGLT2 inhibitors regarding the risk of ketoacidosis, which can lead to serious urinary tract infections and result in hospitalizations. In 2017, another safety announcement was issued requiring the addition of a Boxed Warning to the canagliflozin label disclosing the risk of leg and foot amputations. This announcement followed results from the CANVAS and CANVAS-R trials, in which patients who received canagliflozin had a significantly higher risk of amputation occurring primarily at the level of toe or metatarsal (6.3 vs 3.4 participants per 1000 patient-years; hazard ratio [HR] 1.97; 95% CI 1.41-2.75). Following this Medical Crossfire® discussion, the FDA issued another safety announcement for all SGLT2 inhibitors regarding the rare occurrence of a serious genital infection, necrotizing fasciitis of the perineum or Fournier gangrene, associated with the use of these agents. According to the FDA, only 6 cases of Fournier gangrene have been identified in non-SGLT2 inhibitors over a 30-year period; however, 12 cases of the infection were associated with SGLT2 inhibitors from 2013 to 2018. These data indicate that although significant morbidity and mortality benefits have been achieved in patients taking SGLT2 inhibitors, providers must remain vigilant of potential AEs. Appropriate patient selection, effective patient education on the risks associated with these agents and diligent follow-up and monitoring is essential to ensuring patients are able to benefit from using these agents while minimizing the risk of adverse events. Neal B, Perkovic V, Mahaffey KW, et al; for the CANVAS Program Collaborative Group. Canagliflozin and cardiovascular and renal events in type 2 diabetes. N Engl J Med. 2017;377(7):644-657. doi:10.1056/NEJMoa1611925. US Food and Drug Administration. DA drug safety communication: FDA revises labels of SGLT2 inhibitors for diabetes to include warnings about too much acid in the blood and serious urinary tract infections. https://www.fda.gov/Drugs/DrugSafety/ucm475463.htm. Published 2015. Accessed September 19, 2018. US Food and Drug Administration. Drug safety and availability – FDA Drug Safety Communication: FDA confirms increased risk of leg and foot amputations with the diabetes medicine canagliflozin (Invokana, Invokamet, Invokamet XR). https://www.fda.gov/Drugs/DrugSafety/ucm557507.htm. Published May 16, 2017. Updated July 25, 2017. Accessed September 19, 2018. US Food and Drug Administration. FDA warns about rare occurrences of a serious infection of the genital area with SGLT2 inhibitors for diabetes. https://www.fda.gov/Drugs/DrugSafety/ucm617360.htm. Published August 29, 2018. Updated September 7, 2018. Accessed September 19, 2018. Results from the EMPA-REG trial, which demonstrated superior benefits to cardiovascular outcomes among patients given empagliflozin compared with placebo1, forever changed the practice landscape for cardiologists. Even though patients with type 2 diabetes mellitus (T2DM) comprised a substantial portion of their patient population, cardiologists of the past focused primarily on managing traditional risk factors for cardiovascular disease (CVD), stopping drugs that may have contributed to heart failure, and referring patients to primary care providers or endocrinologists for management of T2DM. 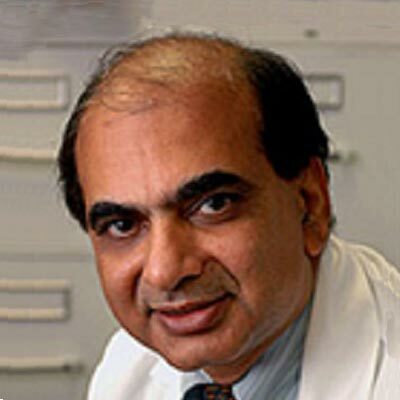 However, cardiologists now have the opportunity to improve cardiovascular outcomes through the use of antidiabetic therapies, such as sodium-glucose cotransporter-2 (SGLT2) inhibitors and glucagon-like peptide-1 receptor agonists (GLP-1 RAs), that have been shown to be beneficial in at-risk patients with T2DM. Furthermore, the high prevalence of T2DM in patients with CVD means that cardiologists may be the first clinicians to encounter patients with undiagnosed T2DM or prediabetes, underscoring the increasingly important role that cardiologists play in the management of T2DM2. 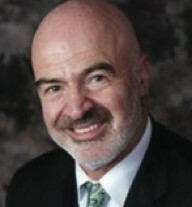 This shift in the treatment paradigm was acknowledged by James Januzzi, MD, a cardiologist, during the panel discussion. Dr Januzzi emphasized the point of moving away from a glucose-centric approach and encouraged cardiologists to become active participants in the selection of antidiabetic therapies that are beneficial to cardiovascular outcomes. 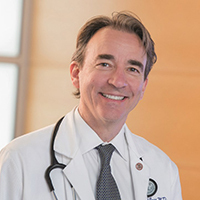 Additionally, Dr Januzzi spoke of the importance of a multidisciplinary approach to care for patients with T2DM, stating, “This concept of a heart team…really needs to be re-created in diabetes, where the endocrinologist, the primary care doctor, and the cardiologist should work together to identify the patient who might benefit—prescribe, deprescribe, adjust, and then work together in cycle to make sure that the therapy is well tolerated.” Dr Januzzi went on to support the role of cardiologists in T2DM, underscoring the importance of educating providers, such as internists and other cardiologists, on the benefits associated with SGLT2 inhibitors and GLP-1 RAs. These agents have been shown to improve not only cardiovascular outcomes but also the rates of hypoglycemia, which is another important consideration for patients with T2DM and CVD. Dr Januzzi stated, “I’ll tell you what keeps me up at night. I worry about the fact that hypoglycemia has untoward interactions with the presence of coronary disease, triggering of ischemia, triggering of arrhythmia, so it’s important to recognize that when you have a patient on metformin and a DPP-4 [dipeptidyl peptidase-4] inhibitor, adding another agent could theoretically be accompanied by the risk for onset of hypoglycemia.” Both SGLT2 inhibitors and GLP-1 RAs were shown in clinical trials to reduce hypoglycemia, which further supports the use of these agents in patients with CVD. The primary goals of cardiologists have been and should remain the management of cardiovascular risk factors and disease, and SGLT2 inhibitors and GLP-1 RAs should be viewed as additional tools for achieving these goals in patients with T2DM. Through education on these agents and a multidisciplinary approach to managing T2DM, cardiologists and other healthcare providers can improve cardiovascular outcomes while helping patients achieve glycemic control. Sattar N, Petrie MC, Zinman B, Januzzi JL. Novel diabetes drugs and the cardiovascular specialist. J Am Coll Cardiol. 2017;69(21):2646-2656. doi: 10.1016/j.jacc.2017.04.014.